Career support to become effective and productive in international assignments. In a global economy, the opportunity to work abroad has become more common and offshore experience is more frequently becoming a prerequisite for top-level executive jobs. An examination of the career paths of C-level managers at Fortune 100 companies found that seven out of 10 had held management jobs in different countries. A decade ago, this figure was fewer than five out of 10.
International HR managers have to look closely at the work-life balance challenges facing their global executives as they impact on effectiveness, employee recruitment and retention, and other long-term business goals. 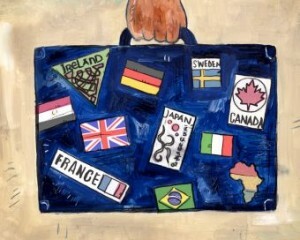 Whether on long or short-term assignments, or even extended business travel, expatriate executives want more assistance from their employers in balancing home and office, cultural awareness, language difficulties and integration into local life. Our International Career Management Programme is designed for executives and professionals relocating abroad, developing their careers internationally and/or repatriating to the UK. We help you maximise performance through the effective retention and development of key personnel. Executive Coaches work proactively to achieve fast integration and optimum motivation of overseas and repatriated staff to ensure that the opportunities afforded to both organisation and employee through the international assignments are identified, clarified and maximised. We enable focused skills development before and during the assignment; optimisation of learning during the assignment period and effective resource and career planning on repatriation. Through our global partner alliance we are able to provide local support and essential local knowledge in over 100 overseas locations to help with specific cultural or family settlement issues. 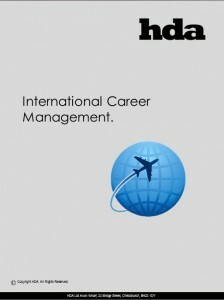 Download our International Career Management brochure.